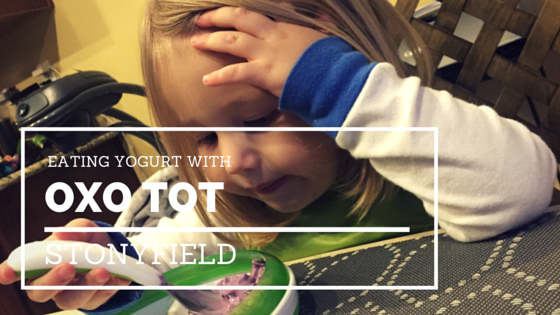 Stonyfield partnered with OXO Tot for a fun way to feed your baby or toddler delicious organic yogurt! 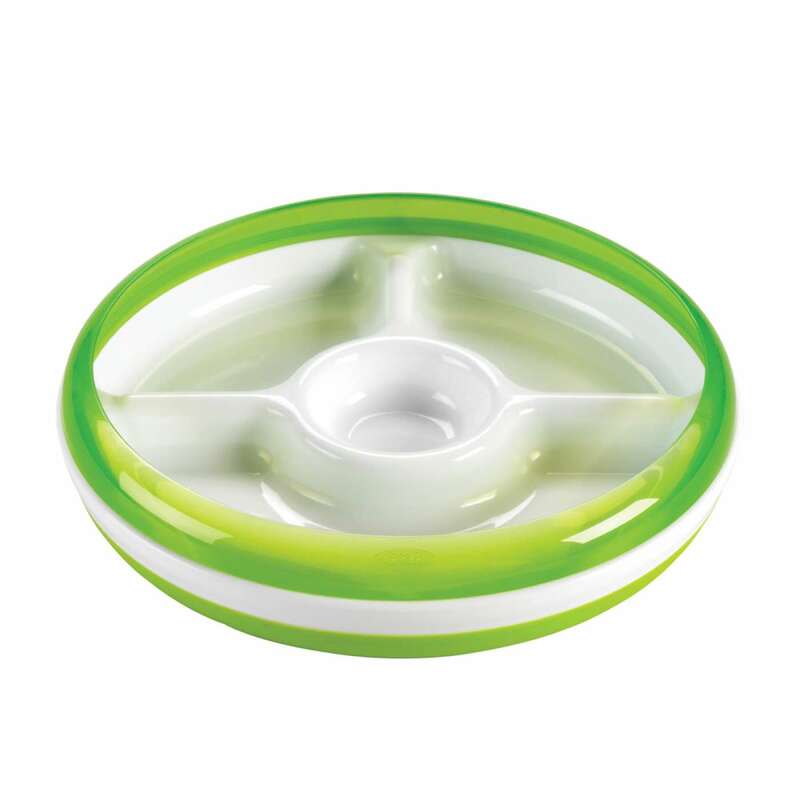 OXO Tot sent us some great feeding products including their Easy Grip Fork & Spoon, a Divided Plate with removable ring, Twist Top Water Bottle, Flippy Snack Cup, Roll Up Bib, Baby Blocks, and Grape Cutter! I have to say my absolute favorite is the OXO Tot Grape Cutter. Grapes are a perfect fruity treat for little ones but are a pain to cut. So we usually avoid them. 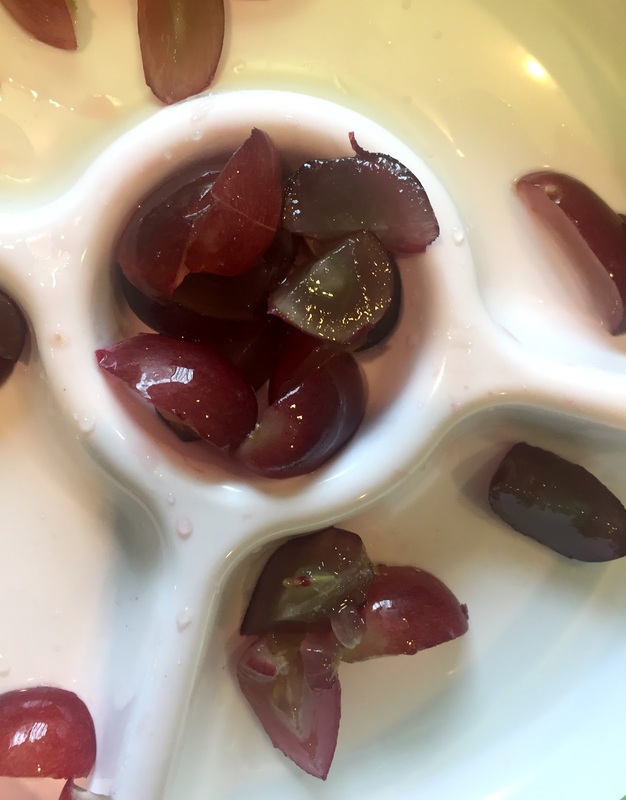 The Oxo Tot Grape Cutter allows you to place a grape in the tool and it cuts it into quarters. Toddlers can still choke on just a half of a grape, so slicing into quarters is ideal- especially for younger children. My son makes a huge mess when eating yogurt. When it drips on his shirt, he has to stop eating to go change. Sometimes he will have 3-4 outfit changes in just 1 yogurt cup. Getting him to wear a bib that he wore as a baby has been a challenge- but he was excited about the OXO Tot Roll Up Bib. Maybe it was because it was something for him instead of his baby sister! The Roll Up Bib catches food in the silicone pocket and it easily folds up for stashing in your diaper bag when traveling. It definitely comes in handy when your kiddo is self feeding messy foods. 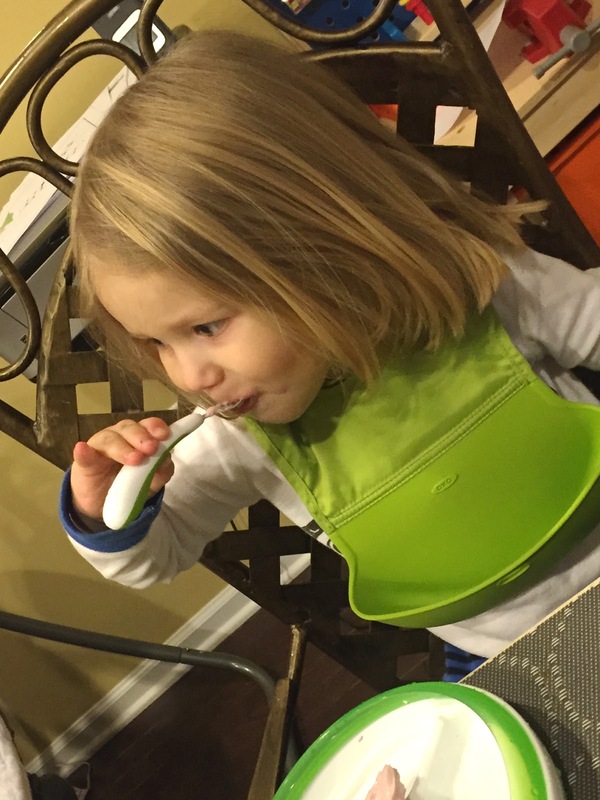 Speaking of self feeding- I love their Easy Grip Fork & Spoon. The spoon was the perfect size for little hands to grasp with little to no spills. See the clean bib! They have soft grips that allow the spoon to rest on the plate without sliding into the food. The Divided Plate is perfect for picky eaters and is a great way to showcase rainbow colored food. You can even put yogurt in the middle of the plate with fruits for dipping around it. Stonyfield has 4 great organic baby yogurt flavors as well as plain along with 3 delicious organic tot flavors that would be perfect for dipping!